In this 7-day suggested itinerary, we tried to hit up all of the most important historical spots in the city of Busan, but have also included some great places for nature tripping and gastronomic adventure. Hopefully, this itinerary will prove useful in planning your trip to Busan and Jeju Island. 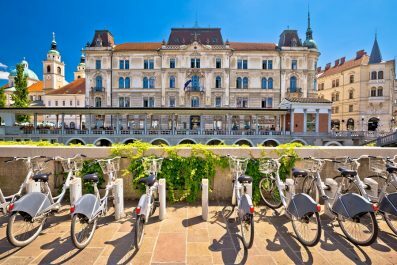 You can always customize a similar tour based on this itinerary to fit your interests and time availability. Anyong haseyo = Hello or How are you? Olma eyo = How much? Etiquette – Greeting in South Korea is relaxed and most of the time require a short bow and a smile. Saying ‘Annyeong Haseyo’ meaning hello in Korean makes an even better impression. South Korea is a very hierarchical society as older individuals are to be respected more than usual. Honorific are also widely used to express the differences in social status. Money and Currency – The official currency of South Korea is the Won (KRW). Exchanging money in South Korea is easy and follows the same standard to elsewhere in Asia. International credit cards are widely accepted but always prepare cash for small stores, shops and restaurants. You can also withdraw cash from bank ATM’s (look for ATMs with Global ATM logo correlated with Cirrus, Interlink, Star, etc.). Getting around – Busan’s extensive subway system allows visitors to go just anywhere within the city. There are currently three lines within Busan and announcements are made in English and Korea. Buses are also excellent choice as they are reliable and navigable, operate on a scheduled timetables and set routes, and has recorded messages in English and Korean that announce the next bus stop. Renting a car and driving on your own will give you complete control of the trip but this option is a little bit expensive. Jesu Island, on the other hand, does not have a rail or subway system. It is best explored by car or tour taxi as most tourist attractions are about an hour drive from Jeju City. Buses are available and reliable, but would take too much time. First time travelers are recommended to avail the tour taxi which costs about 100,000 KRW to 150,000 KRW (85-130 USD) per day. This is a great option as your taxi driver can also serve as your tour guide and photographer all in one. Where to stay – Busan and Jeju Island have wide range of accommodation options, with something for every level of comfort and budget. 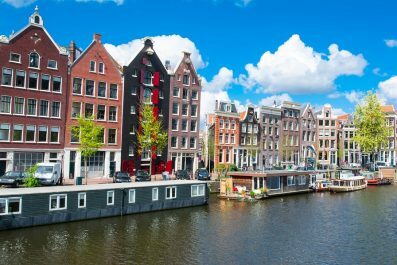 Deciding where to stay will be just the beginning of your adventure so make sure to choose areas where you will spend more time or will give you better access to attractions. Unless you plan to fly to Busan from Tokyo, Hong Kong or somewhere else in the area, there are no direct and reasonable priced flights to this part of South Korea. But plenty of low-priced options with connecting flights in Shanghai or Seoul. A quick search shows that on average the prices from Europe and Americas are in the 600’s USD. Similar are the prices of round-trip airfares from Australia and New Zealand (send us a message if you need help finding the cheapest options to book your flight). After your arrival at Busan Gimhae International Airport, check in to your preferred hotel / guest house. Busan has a wide selection of accommodation ranging from low to high-priced hotels as well as backpacker or youth hostels. 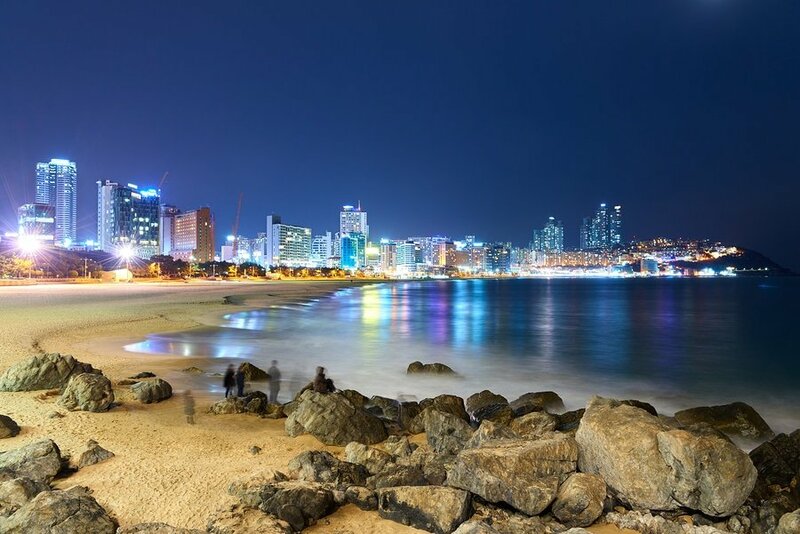 Haeundae Beach District and Gwangalli District are both excellent areas for beach lovers. 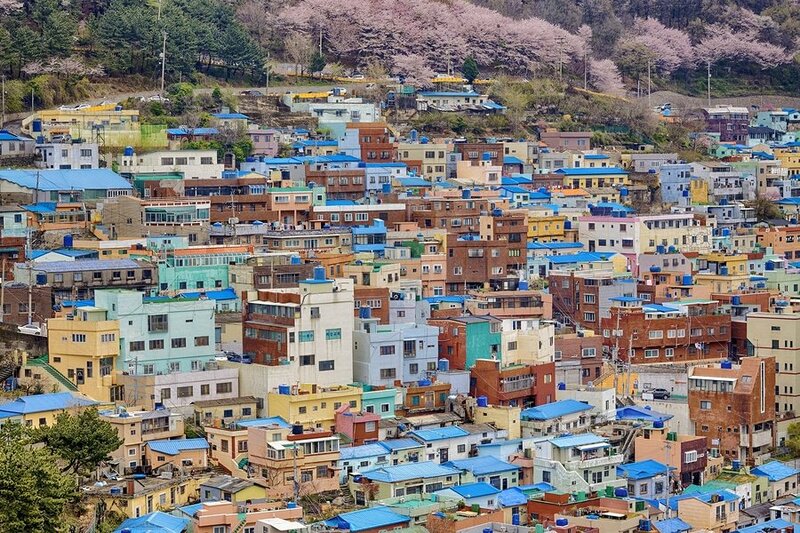 Seomyeon District, located in the downtown of Busan City, is a great option if you would like better access to tourist attractions, restaurants and shops. Assuming you had to cross an ocean to get to South Korea, your first day will be rife with jet lag. 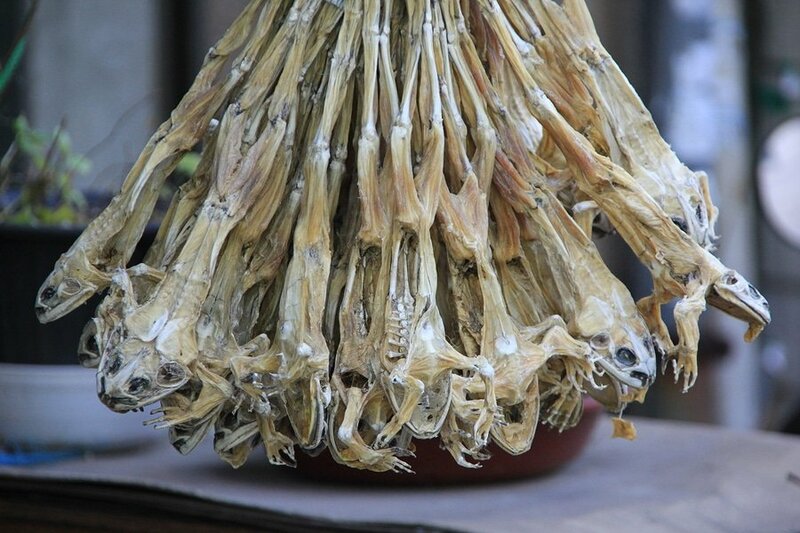 Walk off your jet lag and visit Nampodong Gukje Market, the biggest traditional market in Busan. During the Korean War, refugees who fled to Busan flocked together and began to establish the market to make a living. Gukje Market is a perfect place for gastronomic adventures as it offers variety of Korean food to try. It also features variety of goods including basic home supplies, food and apparel, all at a cheaper price than other market. On your second day, start early and have breakfast at one of the tiny, open-air seafood restaurant in Yeonhwari fishing village. In the fishing village, local haenyeo (“sea women”) support their families by diving for seafood without the use of any fishing tools or equipment. Jeonbokjuk or abalone porridge is a must try! And it is not expensive!!! A bowl of porridge costs 10,000 KWR (9 USD). Same price for the sides of raw conch and live octopus. or if you get off at Toseongdong Station (Busan Subway Line), Exit 6 and then get on local bus Saha 1-1, Seogu 2 or Seogu 2-2. After it was founded by a group of students in 2009, the village has blossomed into a popular tourist attraction, far from the slum that it used to be, back when it served as a home for war refugees. 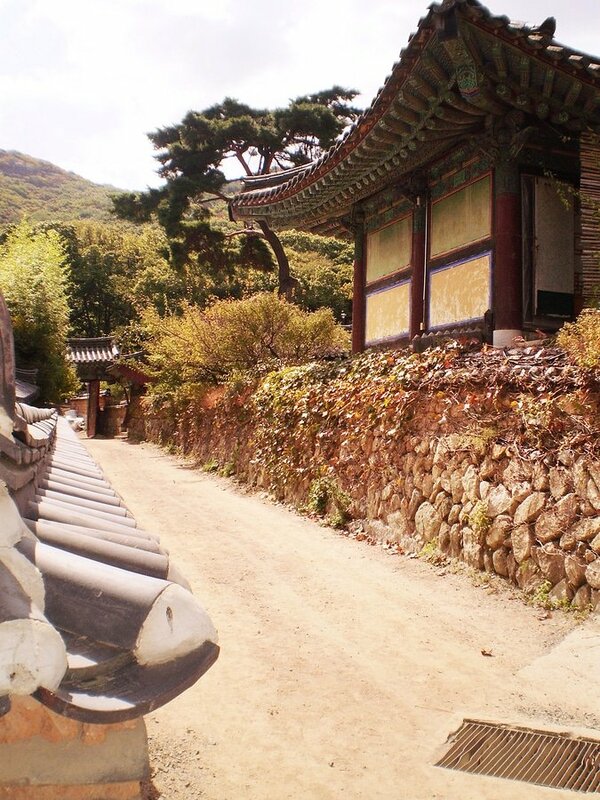 In the afternoon, head to Beomeosa Temple, one of the most significant Buddhist temples in Busan. In the evening, make a quick trip to Yongdusan Park where Busan Tower is located. This tower offers one of the best panoramic view of Busan City. On Day 3, start early so you can take in some sights in Busan before you travel to Jeju Island in the evening. After breakfast, take the subway to Kyungsung University–Pukyong National University Station (Line 2) and visit the Oryukdo Skywalk. 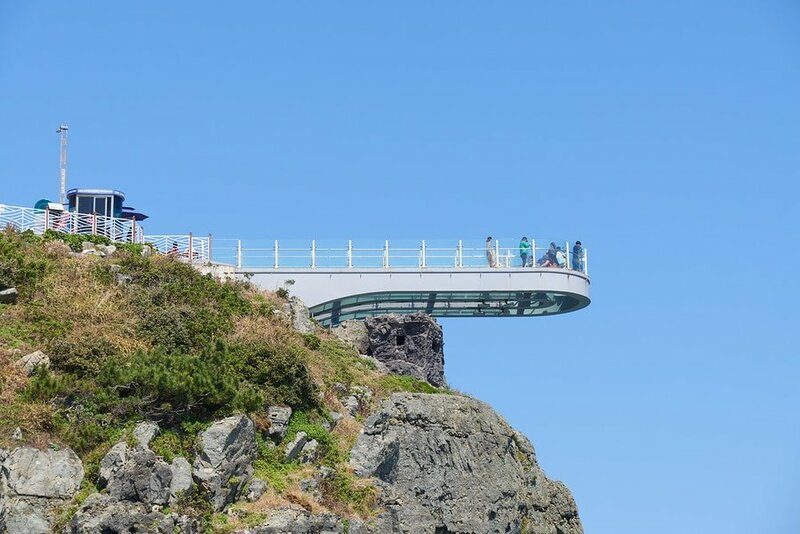 Since it started operation in October 2013, the skywalk has been a favorite of many tourists as it offers “Walking over the sky” experience. 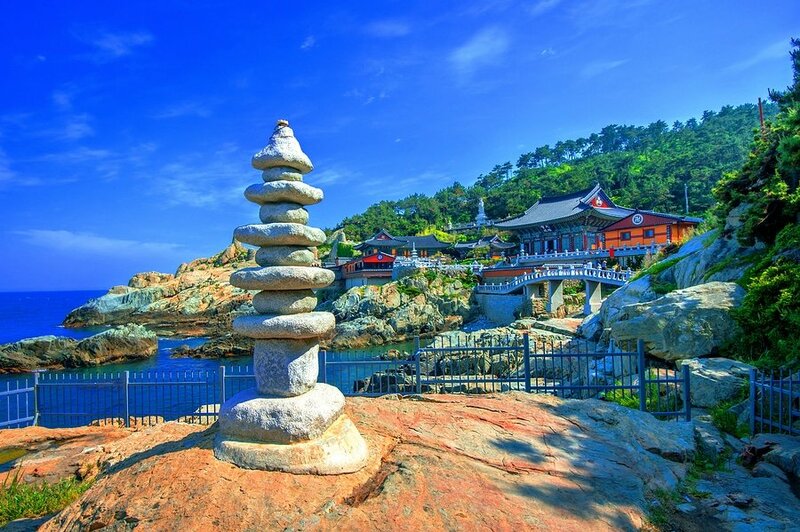 Then, travel to Haedong Yonggung Temple, another famous Buddhist Temple in Busan, built in 1376 by the great Buddhist teacher known as Naong during the Goryeo Dynasty. To get to the temple, take Haeundae Station (Busan Subway Line 2), Exit 7. Then board Bus 181 and get off at Yonggungsa Temple. Travel back to your accommodation in the afternoon to prepare for your departure to Jeju Island. The duration of the flight is under an hour and it costs about 220 USD for a round-trip ticket with Korean Air. However, there is a cheaper option – check JejuAir’s website because they fly the route and their prices start at 15 USD each way. Jeju Island, a favorite to both locals and international visitors alike, offers a wide range of accommodation options. Jeju City, where Jeju International Airport is located, is a great base for first time visitors. On your fourth day, start at around 9 in the morning and explore the eastern region of Jeju Island. Assuming you will avail a taxi tour, thorough research of the famous attractions in the island is not really required because your driver can customize the itinerary based on your interests. Tours in the island normally include attractions in the Northern, Eastern, Western and Southern part of Jeju. 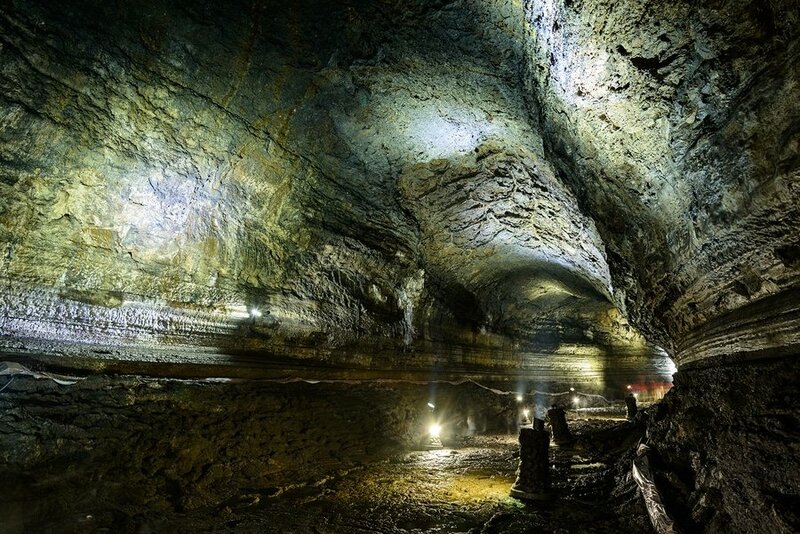 The eastern region of Jeju has many famous places such Manjanggul Cave which is a UNESCO world heritage site. Inside is a 1 kilometer lit course that will take visitors inside a huge network of volcanic lava tubes. Just a short distance from the cave, Gimnyeong Maze Park is another amazing attraction in the island. The maze itself is shaped like Jeju and the images can be seen from above include the following: a serpent (object of worship), horses (brought by the Mongolians), a ship (represents the arrival of the Dutch), yin/yang (represent harmony) and Domen stones (relics from the Bronze Period). Other great attractions include, Jeju Fold Village, Seopjikoji and Seongsan Ilchubong Peak. 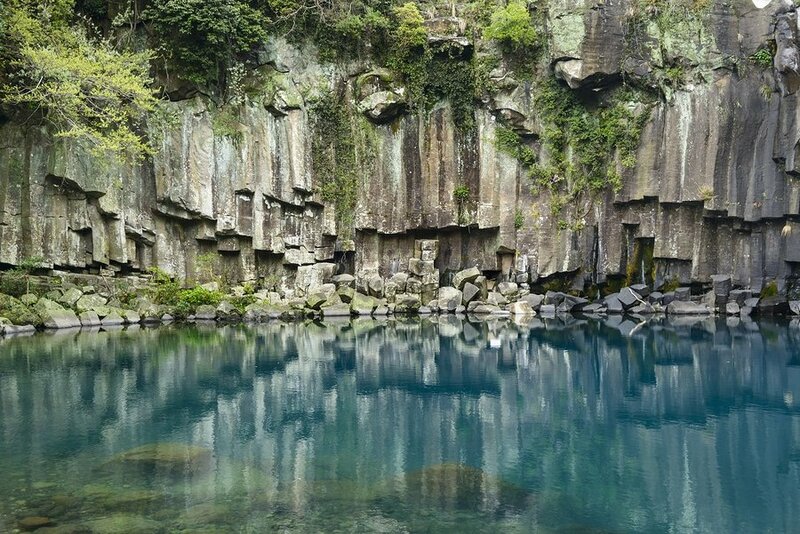 You shouldn’t miss out some of the greatest attractions on the west coast of Jeju. This includes Jeju Loveland, Hyeopjae Beach, Aewol Gwakji Gwamul Beach, Hallim Park, Jeju Museum of Contemporary Art and Yongmeori Seashore. Enjoy Jeju Black Pig Barbecue for lunch at one of the restaurants in the western region. On Day 6, hike up to Hallasan National Park through the Yeongsil Trail. 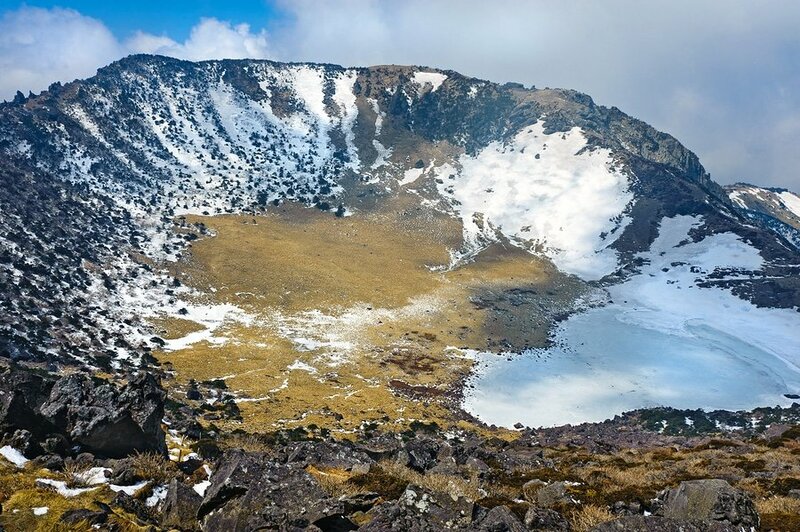 Hallasan is South Korea’s highest peak and was once an active volcano that’s why a crater lake was created at the top. Yeongsil Hiking Trail is highly recommended for all ages, even kids can complete this trail. Trails are always properly maintained and well-groomed – you will be hiking on wooden boards or steps most of the time. On your last day in Jeju, visit the captivating city of Seogwipo and explore the Southern Attractions of the island. The region boasts many amazing natural landscapes, which include Cheonjeyeon Falls, Jusangjeolli Cliff, Jungmun Beach, Cheonjiyeon Falls and Jeongbang Falls. There are also other interesting attractions like the Teddy Bear Museum, Locadio World, Jeju World Cup Stadium, Jeju Green Tea Maze Park and Soesokkak Estuary. Ask your driver to take you back to Jeju City in the late afternoon so you can prepared for your flight back to Busan where you will take your international flight home. Have you been to Busan, Jeju Island or anywhere else in South Korea? Do you have any tips or suggestions to share? If so, you can leave your comments below. Hi! Thank you for writing about Busan, and especially Jeju. We shared your link on our Jeju Tourism Organization Facebook Page (http://bit.ly/jejutour) and it’s been a hit with our fans and readers! Thank you!